Samori Balde recorded debut album at Bravo Records. The album includes 10 music works performed in Georgian language. Nani Bregvazde recorded new version of universal song of Revaz Laghidze “Nazo Kaltsulo Dalaldatsnulo” at “Bravo Records” studio. 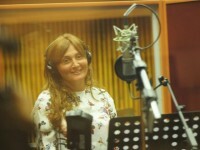 Famous Polish Pop singer Natalia Lesz recorded her new song at Bravo Records Studio. Sophie Villy recorded her first album at Bravo Records. 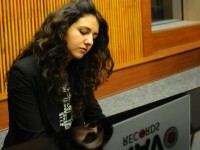 Sofia Nizharadze recorded her new Georgian-language disc at Bravo Records studio. Trio “Simi” is recording its new album at Bravo Records studio. 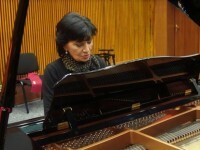 World famous Georgian pianist Eliso Bolkvadze is planning to record her new solo album in November at “Bravo Records” studio. 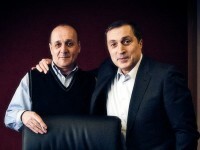 World famous opera singer Paata Burchuladze recorded famous Georgian song "My Beautiful Country" along with ensemble "Shvidkatsa". Ensemble "Shvidkaca" recorded song "Mukhambazi" at the studio of Bravo Records. 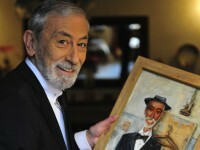 In honor of Buba Kikabidze's jubilee, Bravo Records issued special DVD concert of this legendary Georgian artist and singer. 2011 Eurovision contest song, One More Day, was the first Eurovision participant song from Georgia, the audio track for which had been recorded in Georgia, at Bravo Records studio. 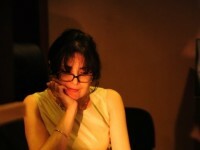 Nanuka Zhorzholiani held the music session at Bravo Records studio. 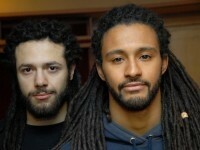 Stephane + 3G decided to record their new single at Bravo Records studio. 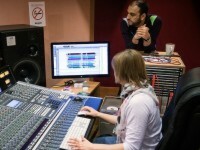 The new song by the band "Street Boys", based on Acharian motifs, was recorded at the studio of Bravo Records. Ensemble "Lashari" recorded its own version of "Tsintskaro" at Bravo Records studio.